The Gerd Arntz archive at the Municipal Museum The Hague contains more than 4000 pictograms and small illustrations designed by Gerd Arntz for Isotype, the pioneering method of visual statistics developed by Otto Neurath in the 1920s and ’30s. This archive has now been completely digitized by the Memory of the Netherlands Foundation. A comprehensive and inspiring selection of Arntz’ ‘signatures’ is now internationally accessible on the Gerd Arntz web archive www.gerdarntz.org. I guess I never thought about how these came out, but I’m super impressed that he did these with cuts. All that work for one, and then having to go back and make new blocks for different sizes. 4000+ times. I sometimes forget about life without a mouse & monitor. Oh, I know. 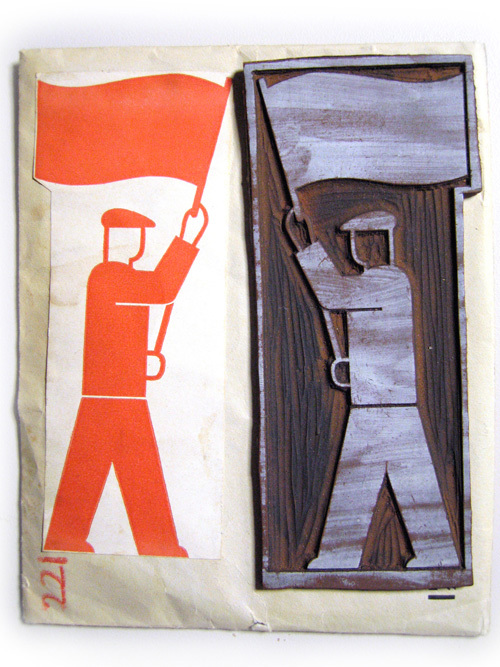 I guess Neurath insisted that they either use linocut or cut paper. Insane amount of work! I tried to post something along these lines a couple of days ago but think it didn’t work – just to say I’ve been researching Arntz, Neurath and Isotype and to let you know there are quite a few research projects on this – so expect to see more publications soon!